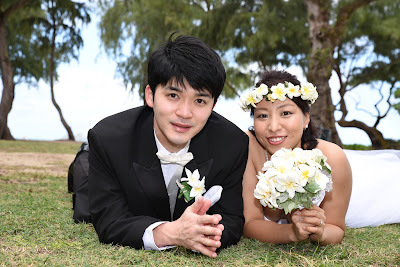 Limousine service for your wedding in Honolulu. 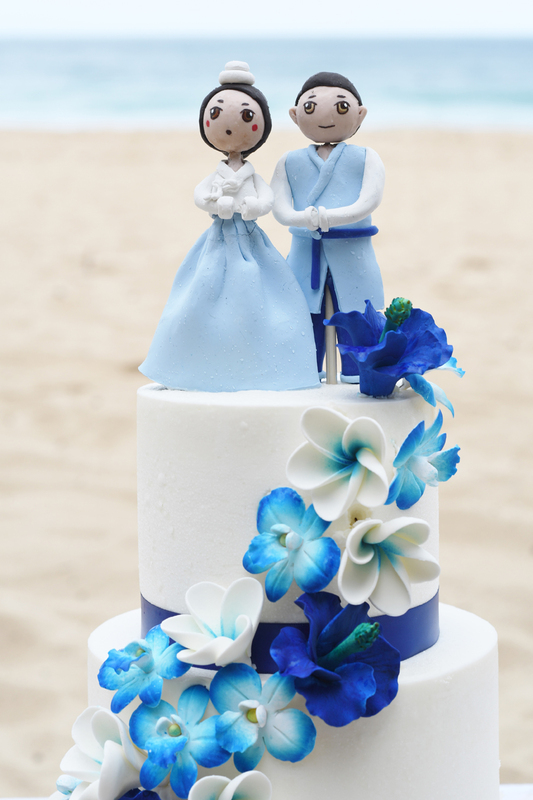 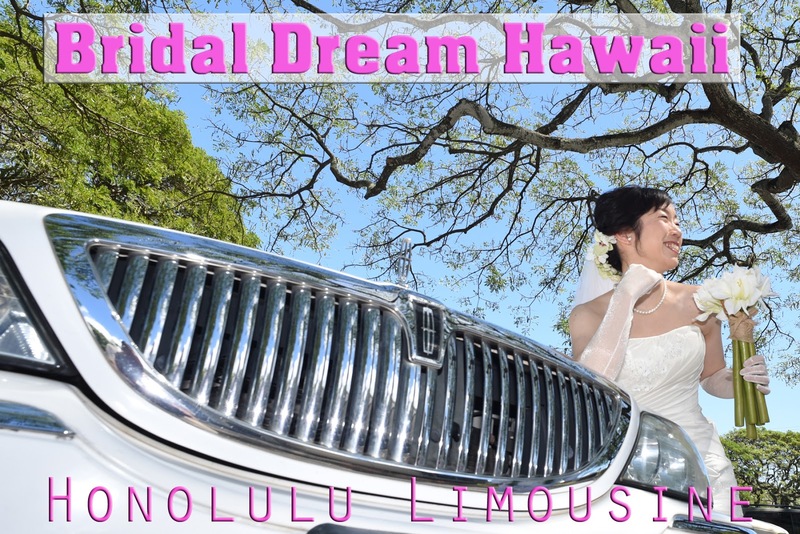 Happy to be of service transporting you from your Waikiki hotel to your wedding location on Oahu. 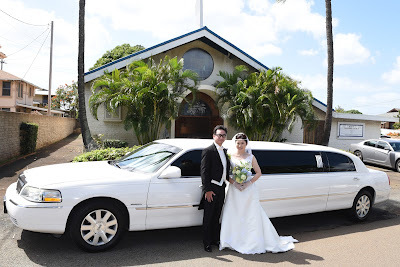 Give us a call at 808-924-3600 for your Limo transportation in Hawaii. Thank you Rev Kimo for coming to the North Shore on a Sunday for our couple's wedding vow renewal. Much appreciated! 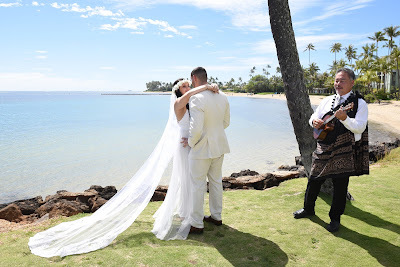 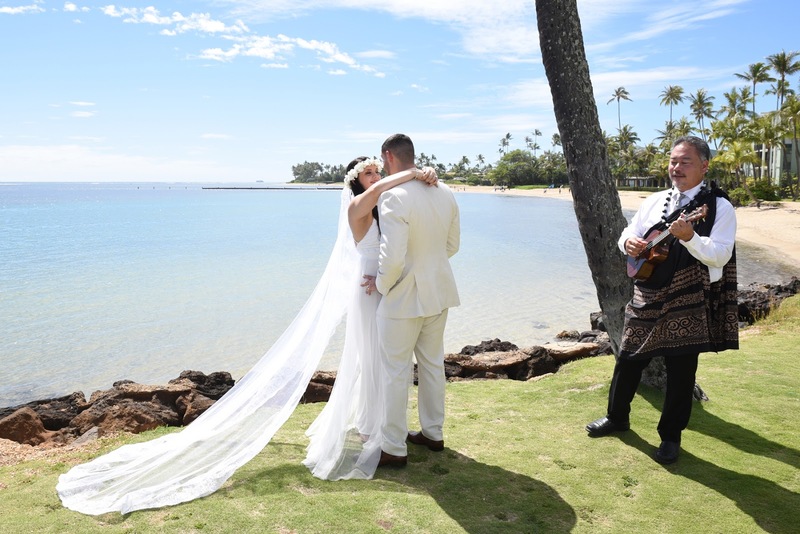 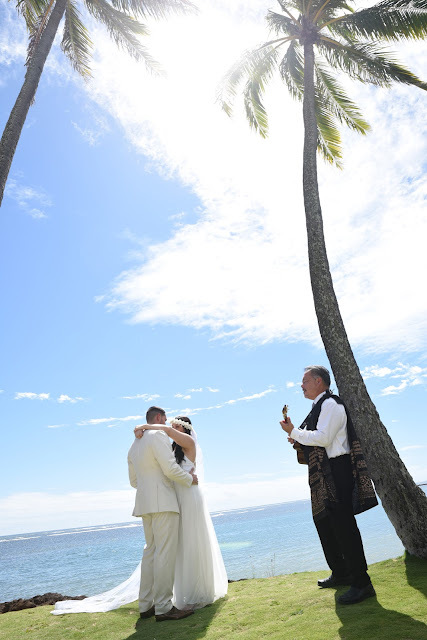 Bride and Groom dance under the coconut trees to the sound of the Ukulele. 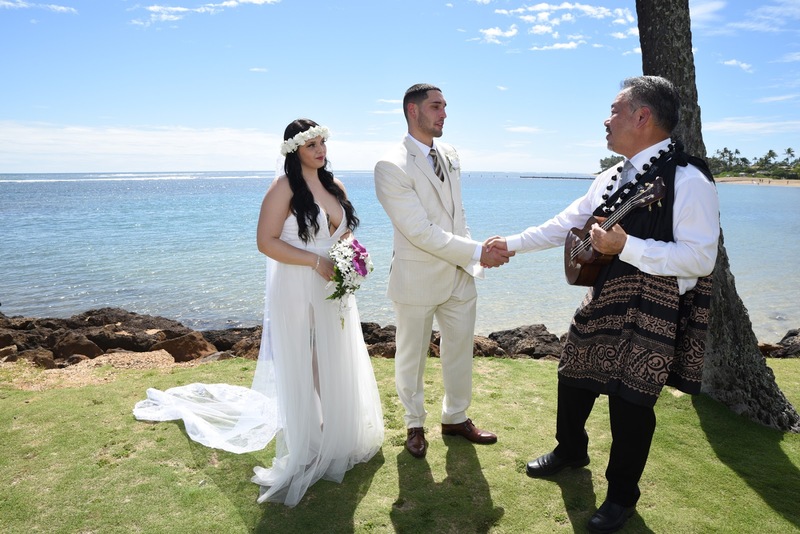 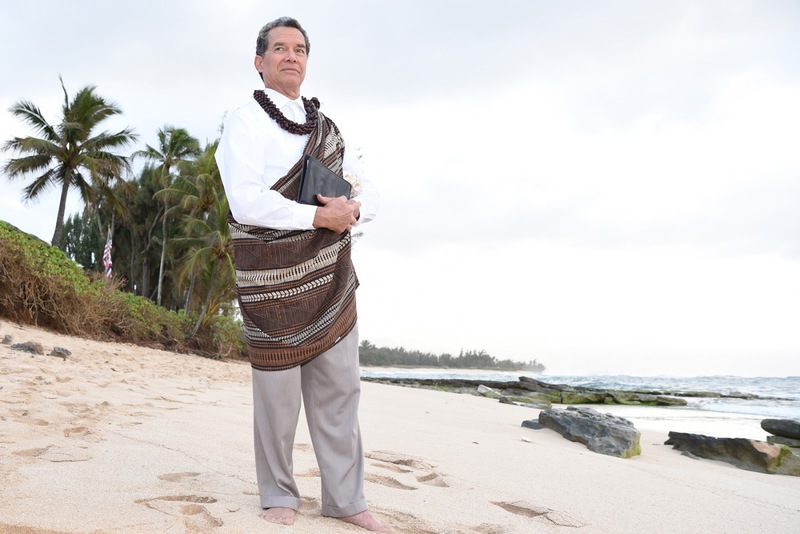 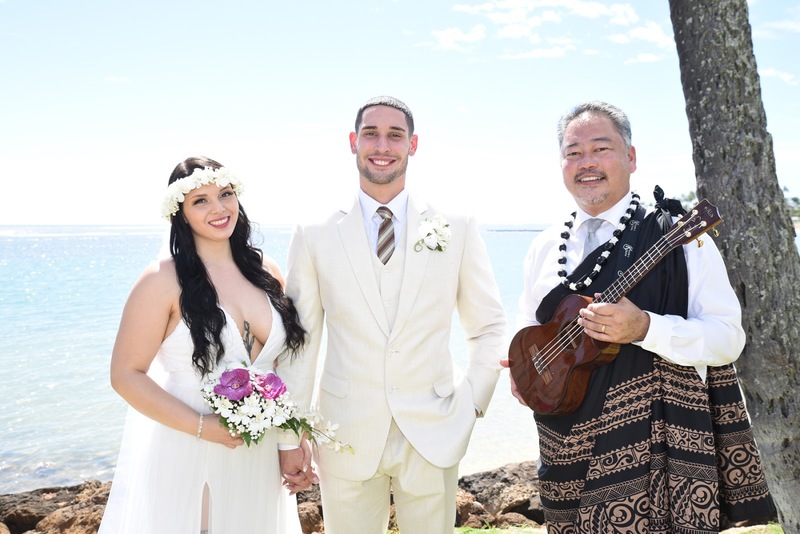 Pastor John is our Hawaii Wedding Minister AND Ukulele Musician. We're grateful! 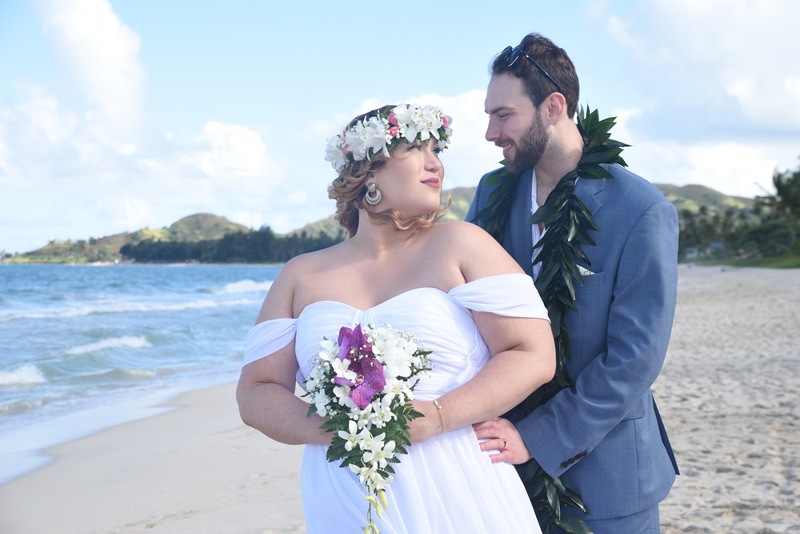 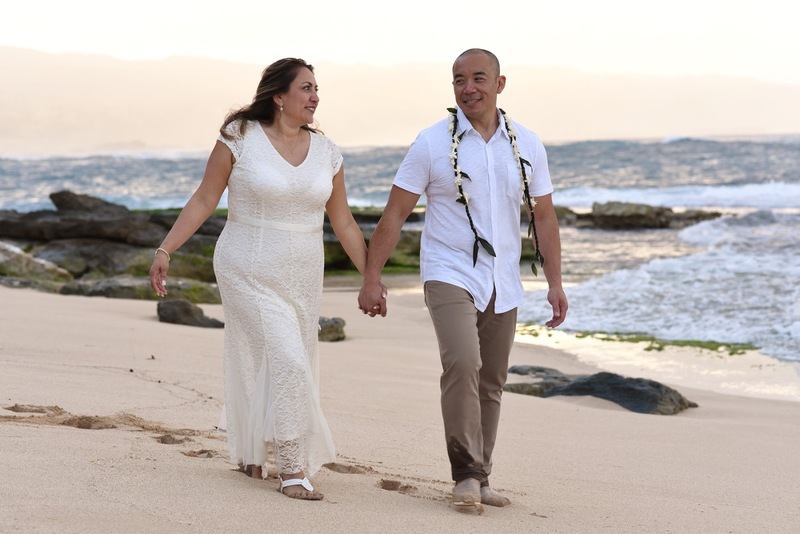 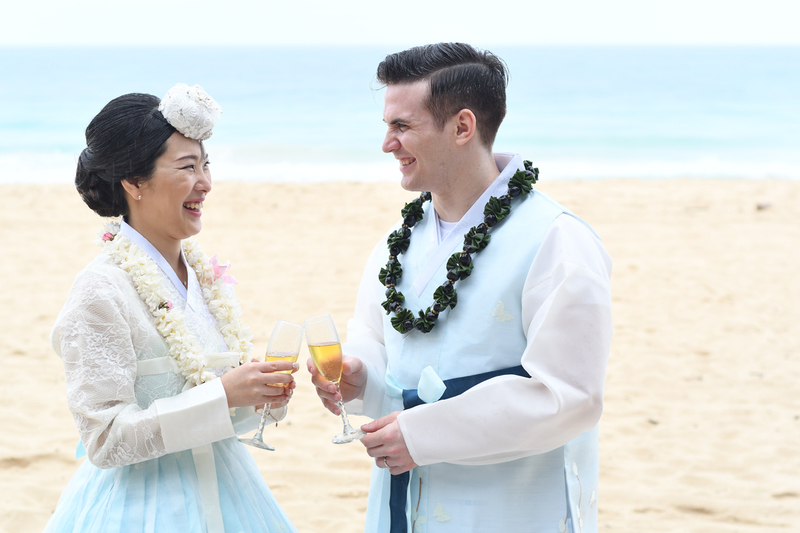 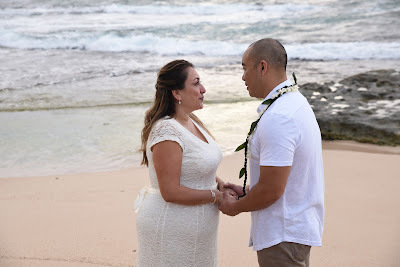 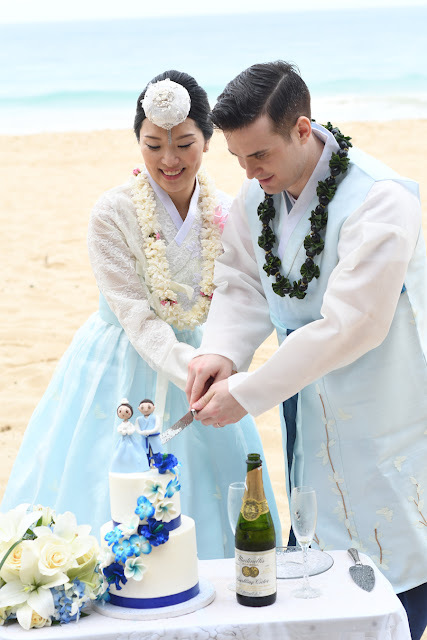 How do I get a Hawaii Marriage License on Oahu? 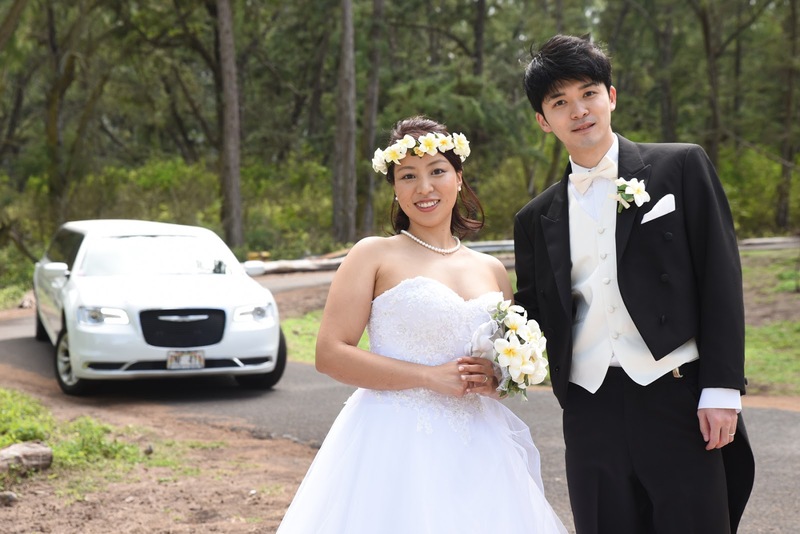 Where can I pick up the License in Honolulu? 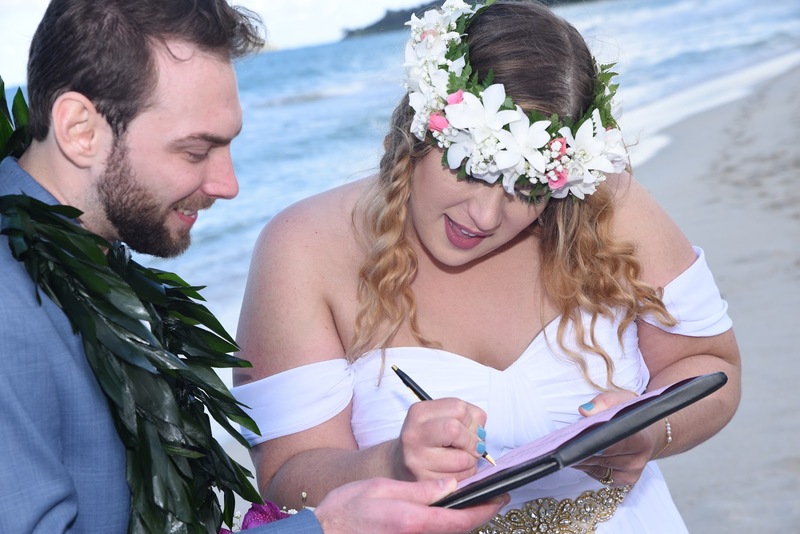 Bridal Dream Hawaii can transport you to the Marriage License Office at the Hawaii Department of Health. 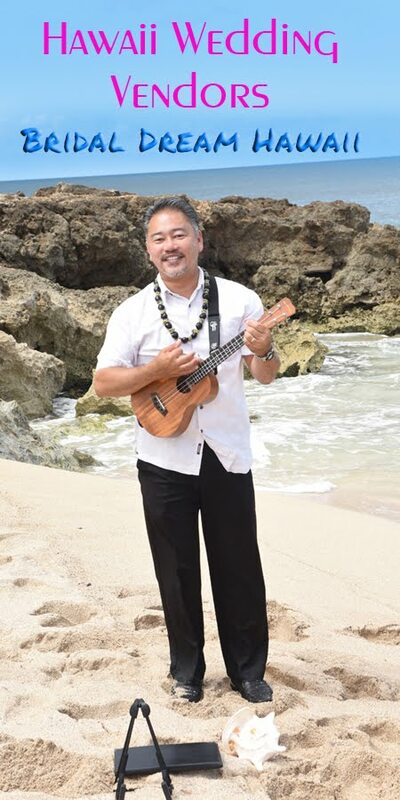 $40.00 shuttle fee from Waikiki. Ko Olina or North Shore also available. 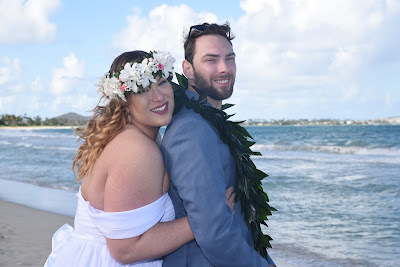 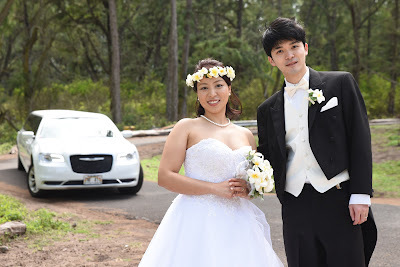 Nice to show up for your Hawaii Honeymoon photo tour in a nice white Limousine, fancy wedding dress and formal tuxedo. 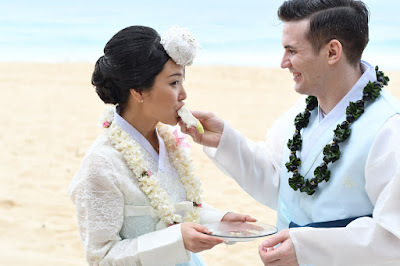 Diamond ring looks great too! 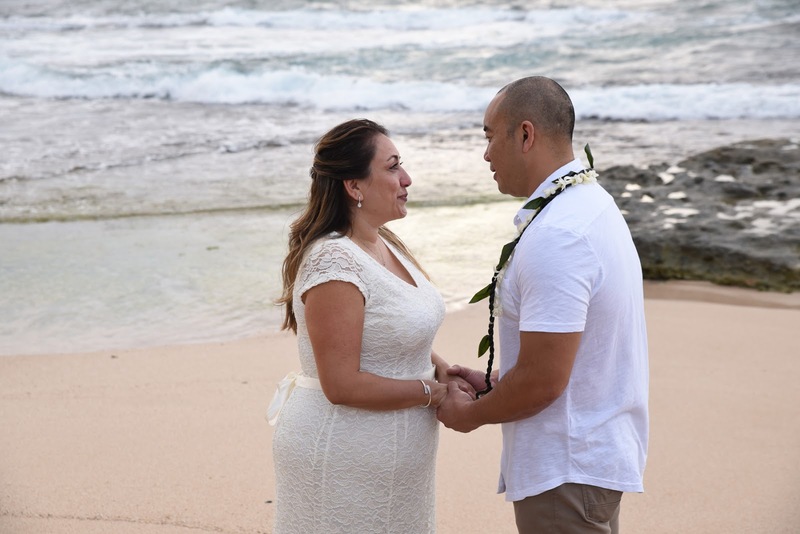 Bridal Dream Hawaii can reserve your wedding limousine service on the Island of Oahu. 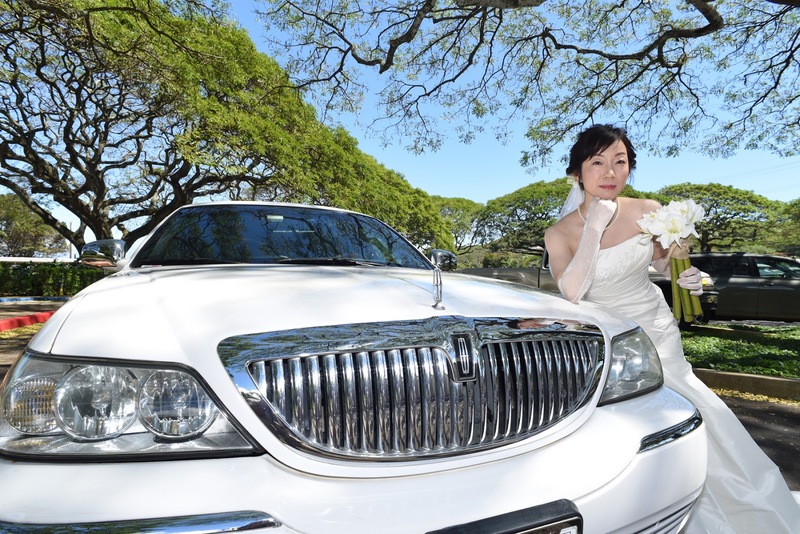 Give us a call to set up your Honolulu transportation. 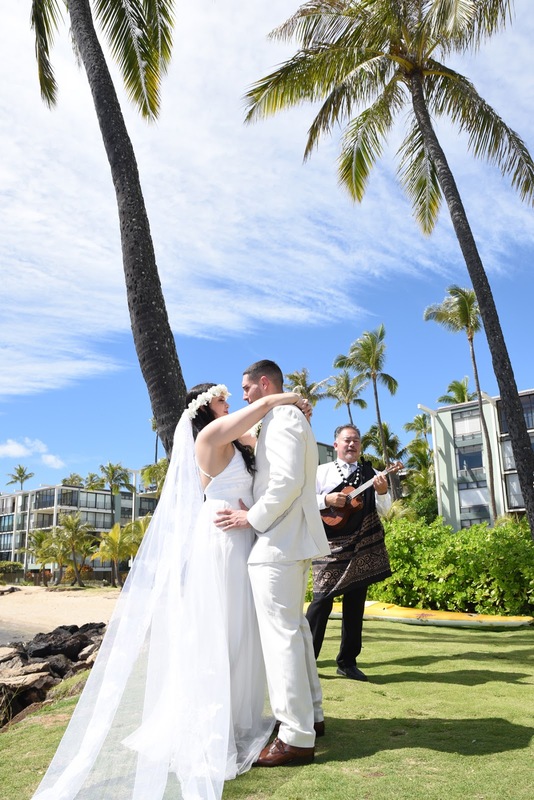 Celebrate your Hawaii wedding with a champagne toast, or Sparkling Apple Cider.